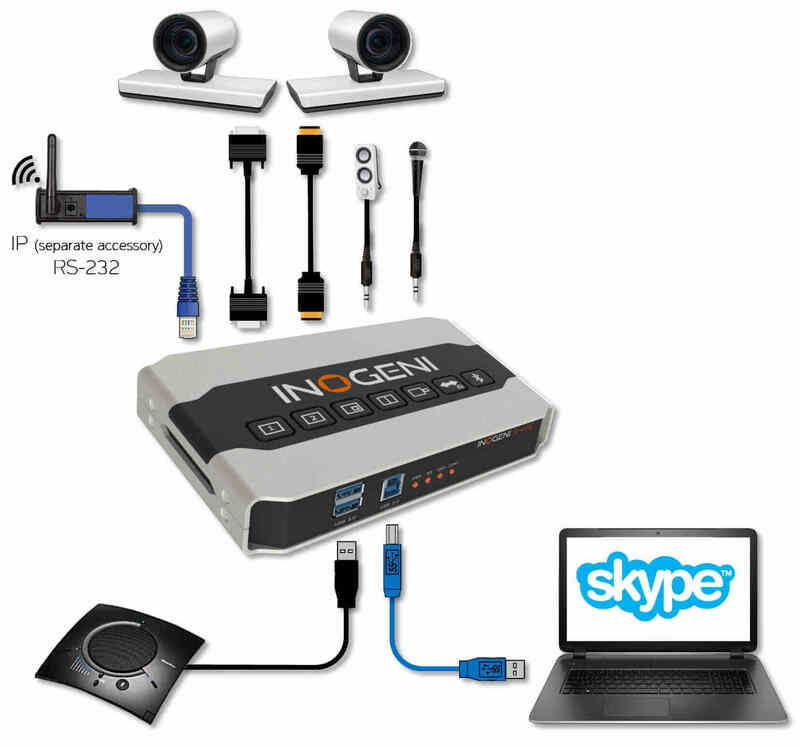 Note: For USB cameras, see INOGENI SHARE2U product. You can also get Crestron modules in order to control the device using the LAN or serial interface. You can get a look at the interface of the Crestron module below. 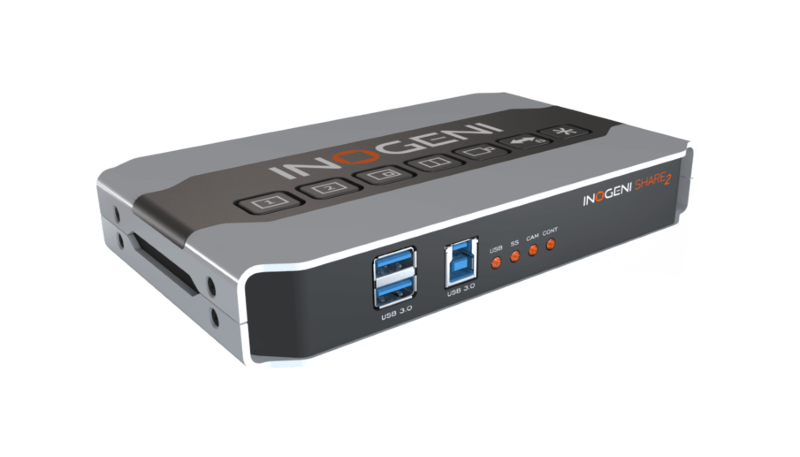 Visit the Software Update page under the INOGENI SHARE 2 section for more details. The device has its own application in order to control the Mixer configuration using the USB HID or the LAN interfaces. 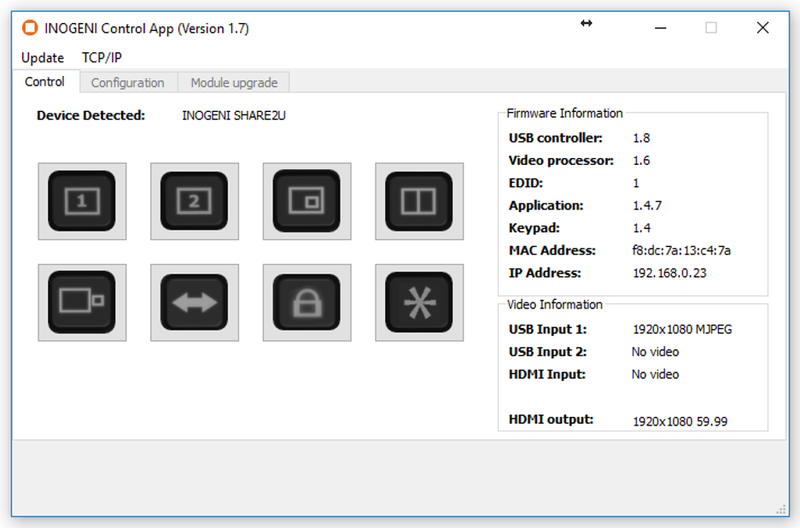 You can also monitor the firmware versions installed on the device and the status of the Camera and Content inputs. You can update your device to the latest firmware using the Update menu. The C++ source code of this application is available on demand. Visit the Software Upgrade page under the INOGENI SHARE2 section for more details. 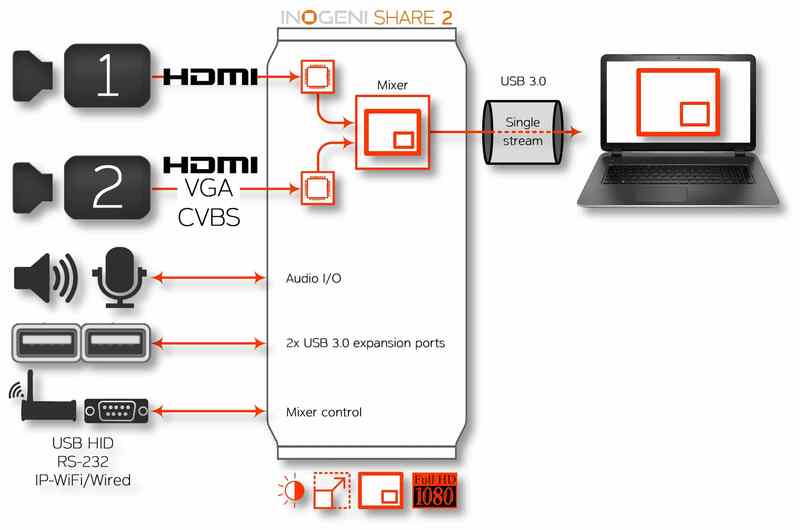 When the SHARE2 or SHARE2U is positioned in an inconvenient area of the room because of your computer and video source cables, you can connect the SHARE2 wired remote and change images from a better place in the room.